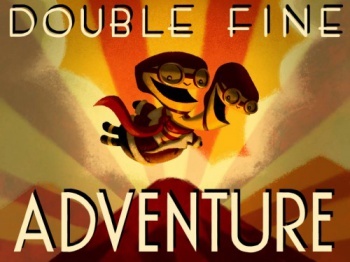 The U.K. Interactive Entertainment trade group will publish a report next week calling for the legalization of crowd-funded game development in the U.K.
By now you've no doubt heard the amazing story of the Double Fine Kickstarter, which has so far raised more than $750,000 for the production of "Double Fine Adventure" in less than a day. Yet as that number keeps rising and people start talking about funding amounts in the millions rather than the thousands, a very interesting point has come to light: a project like this would be "restricted by the current legal and regulatory framework in the U.K."
The hangup stems from U.K. Financial Services Authority regulations on who can legally invest in crowdfunded projects and even how such projects are defined under the law. To stay on the right side of legality, invitations to invest are typically restricted to "high net worth individuals," accredited investors or people with existing relationships with the startup. That obviously precludes the participation of the vast majority of people out there who want to kick in 20 bucks to make Tim Schafer dance. But the UKIE wants to change all that, beginning with a report next week that will call for updates to the current FSA legislation. "Double Fine's Kickstarter project has today shown the huge potential of crowd funding to benefit games and interactive entertainment businesses," UKIE CEO Jo Twist told MCV. "We need the U.K. to be able to take full advantage of crowd funding and UKIE's Crowd Funding Report, due next week, will outline exactly what needs to be done for this to be possible." The U.K. isn't the only country with legal roadblocks to crowdfunding; in January, the Canadian Advance Technology Alliance called for similar changes to investment regulations in Canada, but for obvious reasons, nobody noticed.